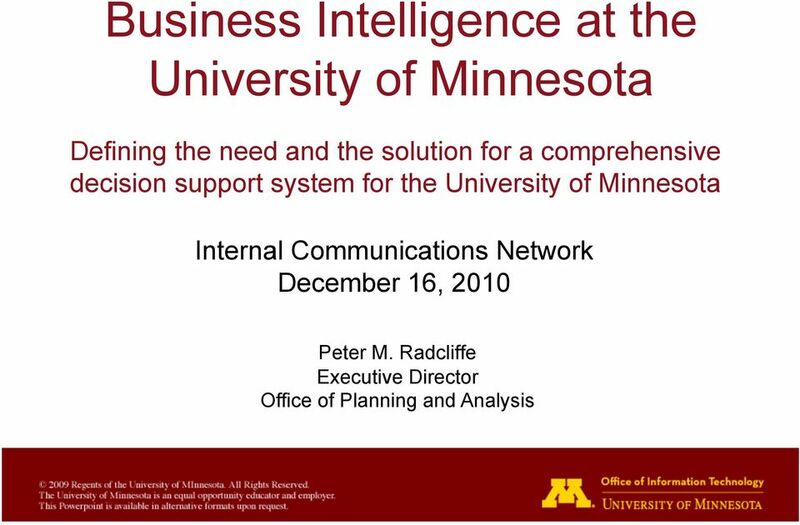 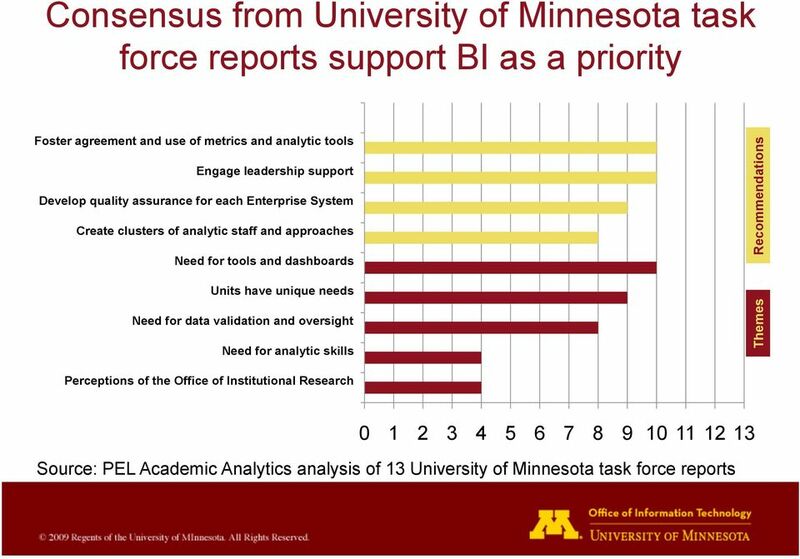 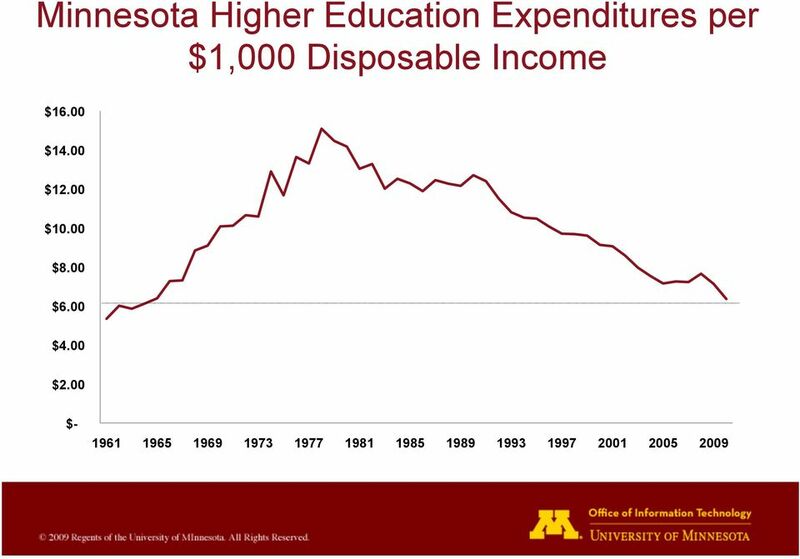 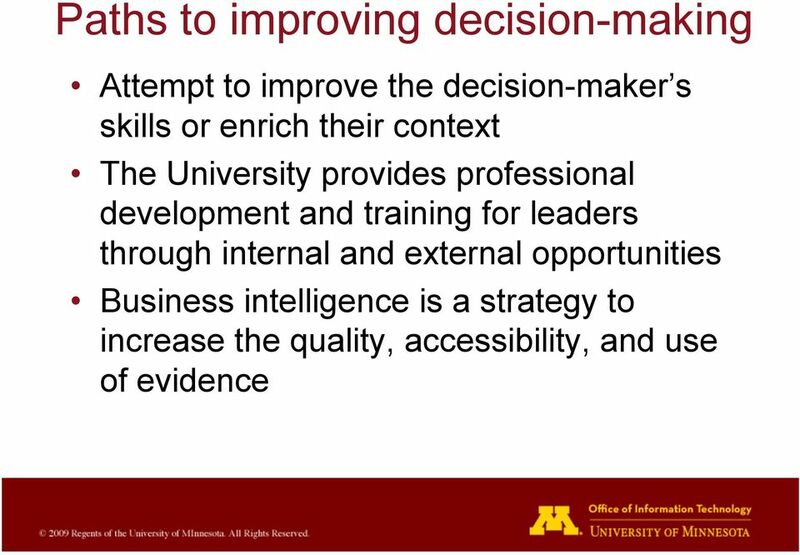 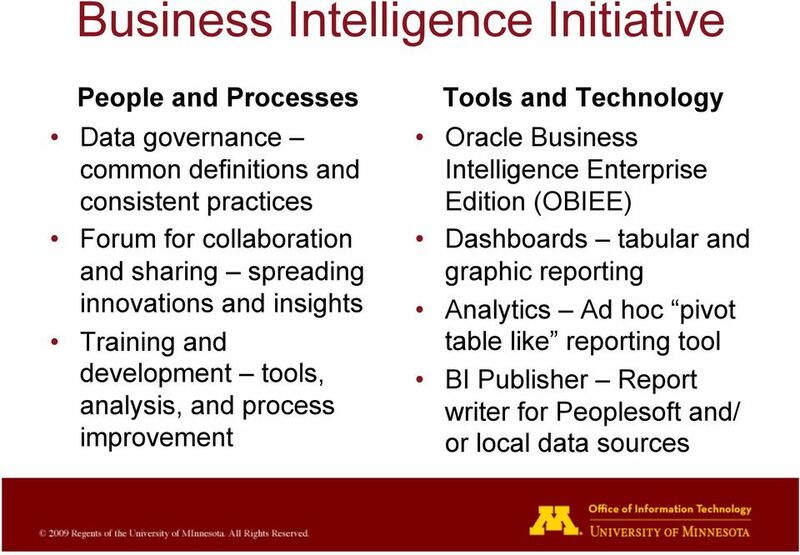 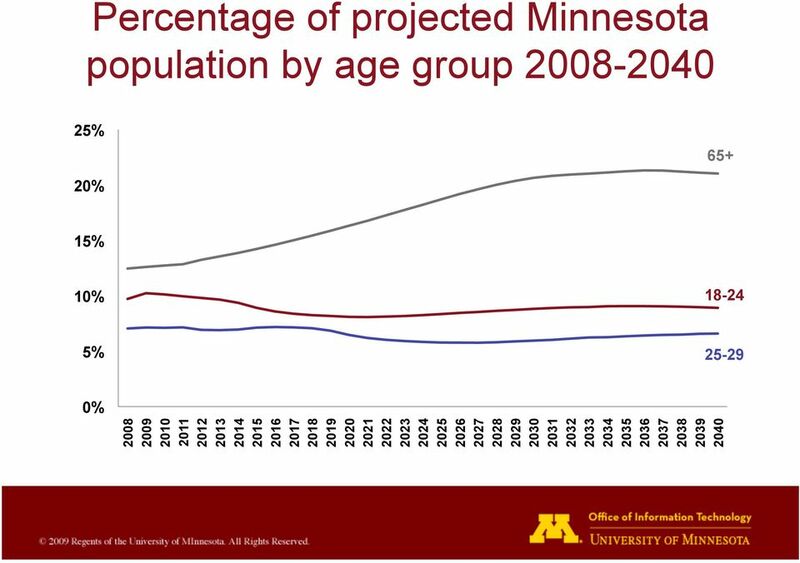 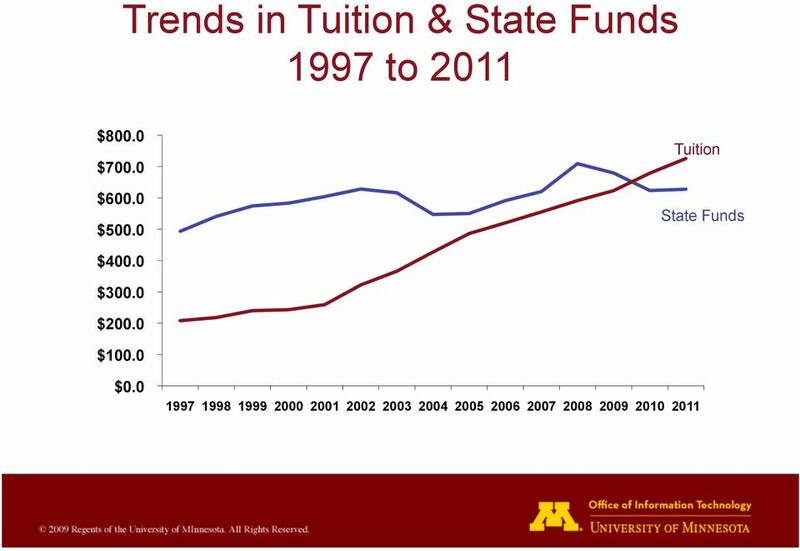 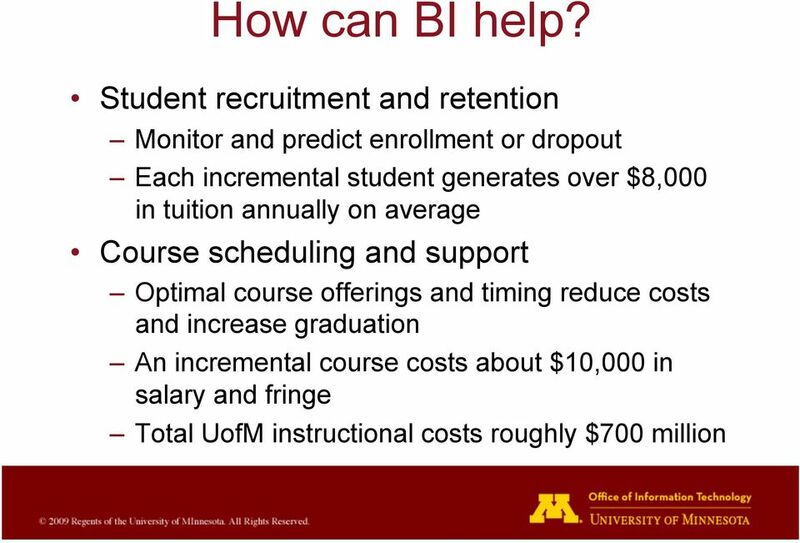 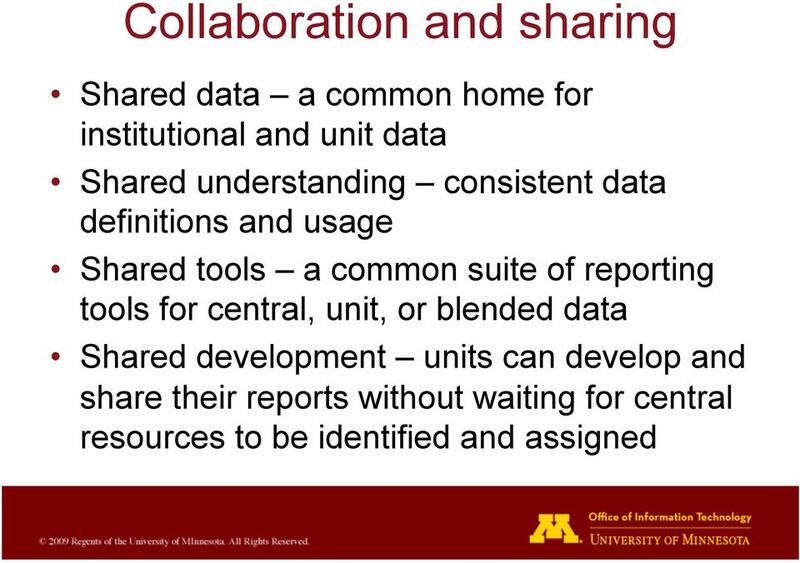 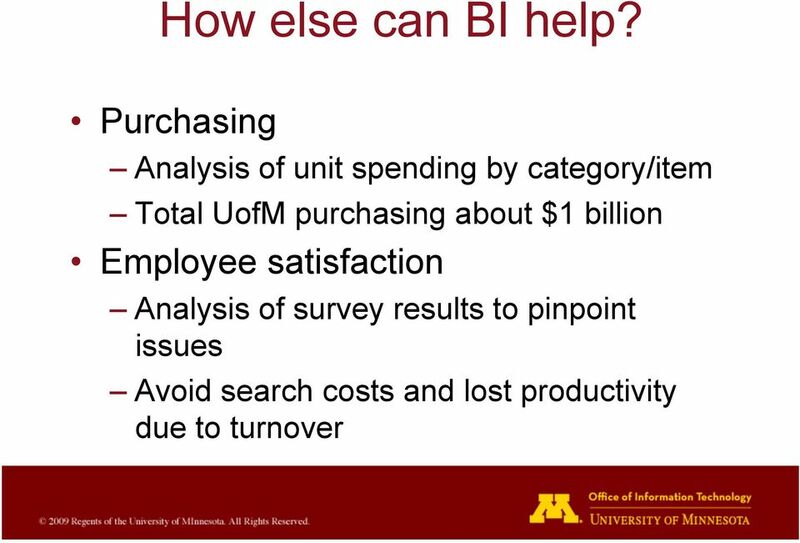 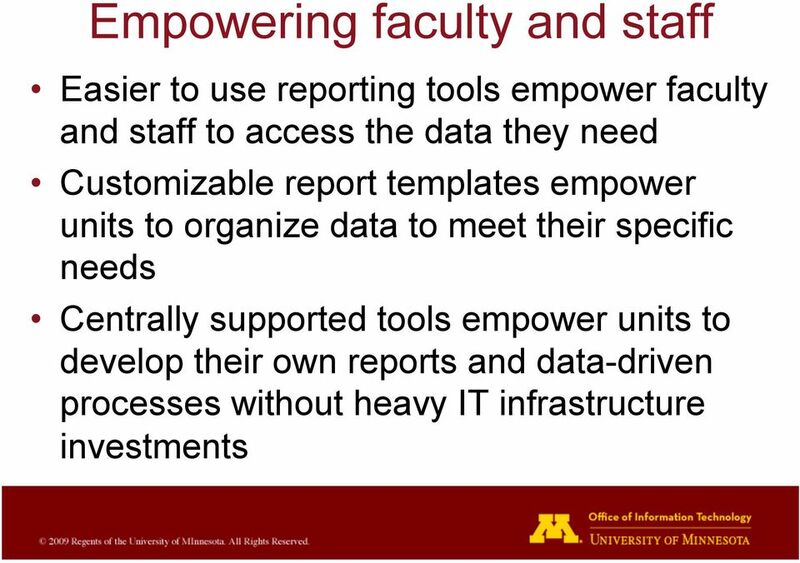 Download "Business Intelligence at the University of Minnesota"
2 How do we make good decisions? 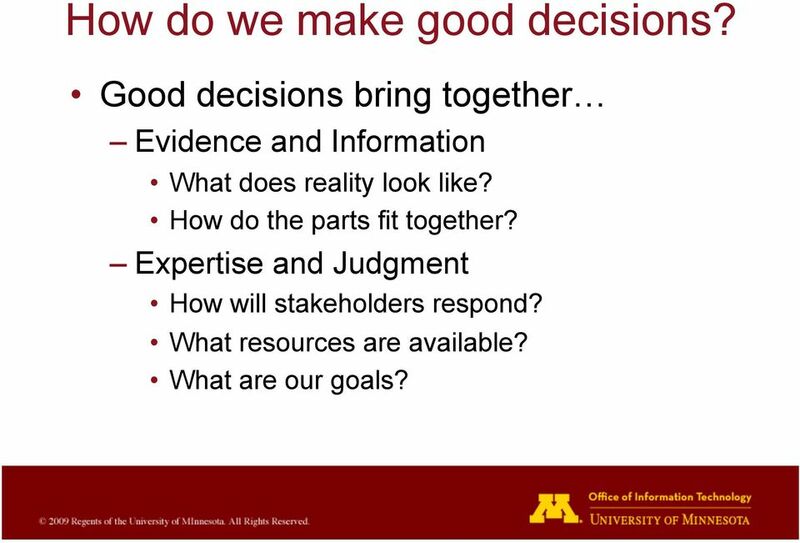 Good decisions bring together Evidence and Information What does reality look like? 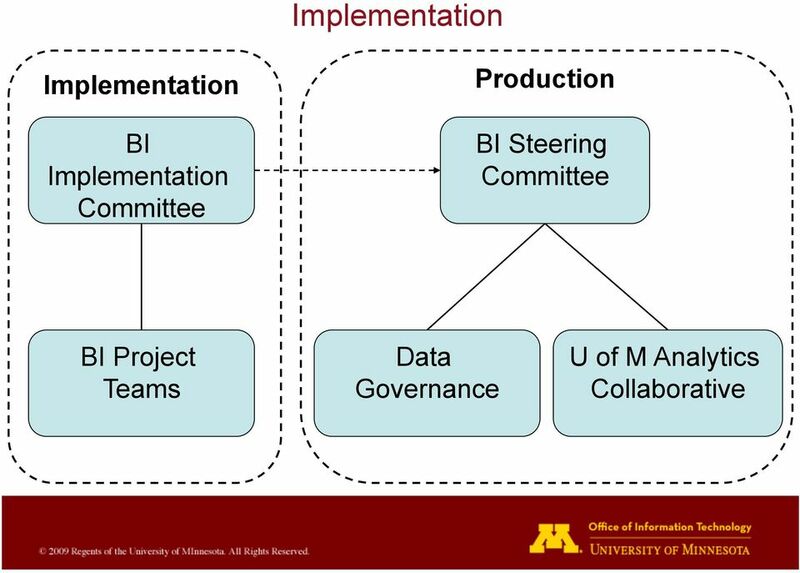 How do the parts fit together? 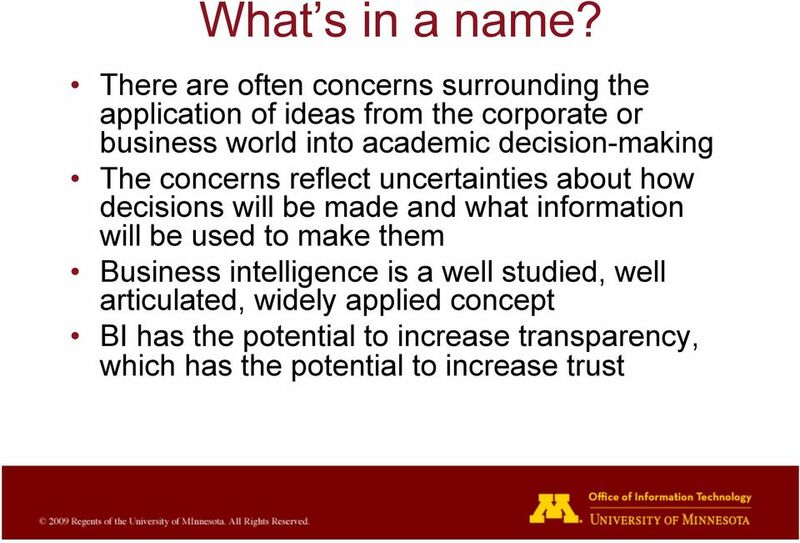 Expertise and Judgment How will stakeholders respond? 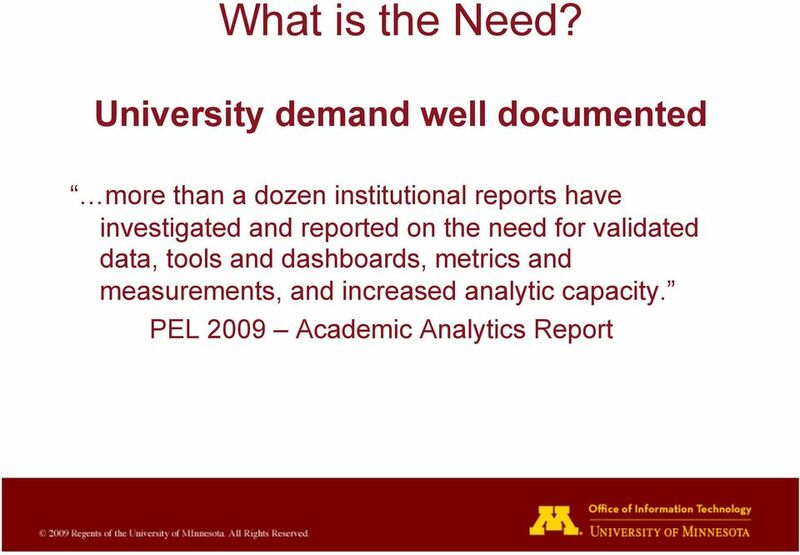 What resources are available? 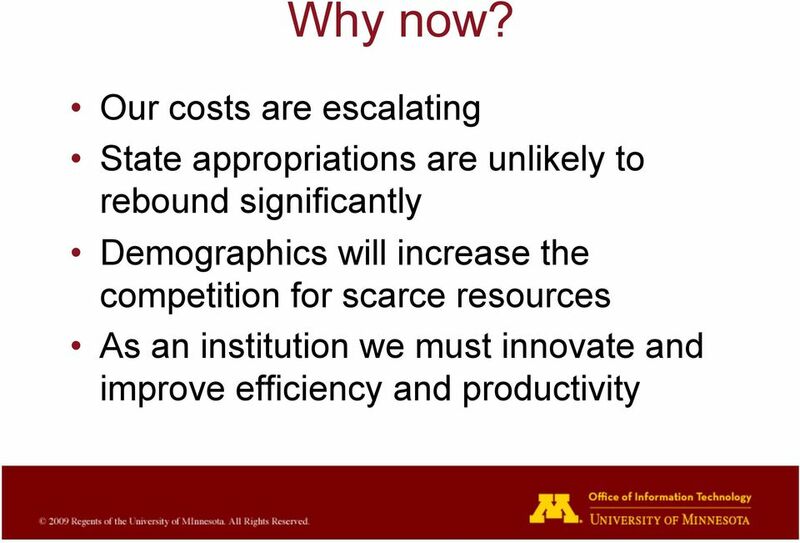 What are our goals? 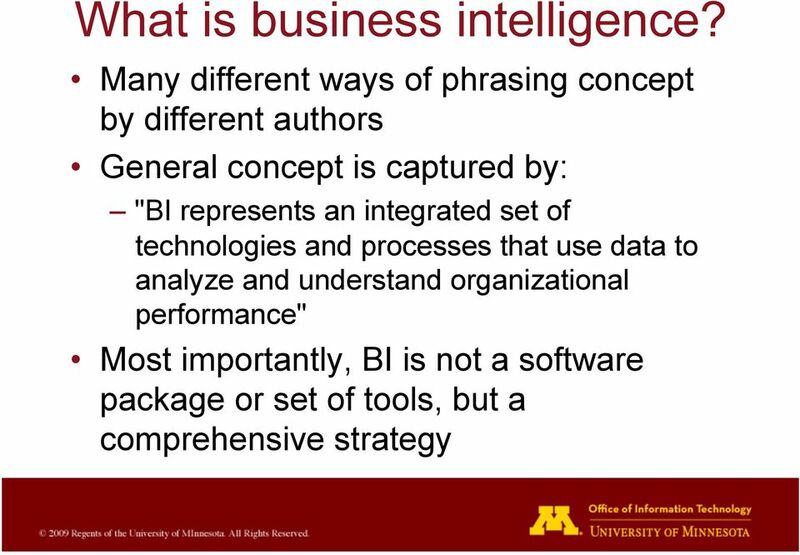 PRACTICAL APPROACH TO IMPLEMENTING BUSINESS INTELLIGENCE IN HIGHER EDUCATION ORA FISH, EXECUTIVE DIRECTOR PROGRAM SERVICES OFFICE NEW YORK UNIVERSITY 2 1 HIGHER EDUCATION ARE WE DIFFERENT FROM OTHER SECTORS? 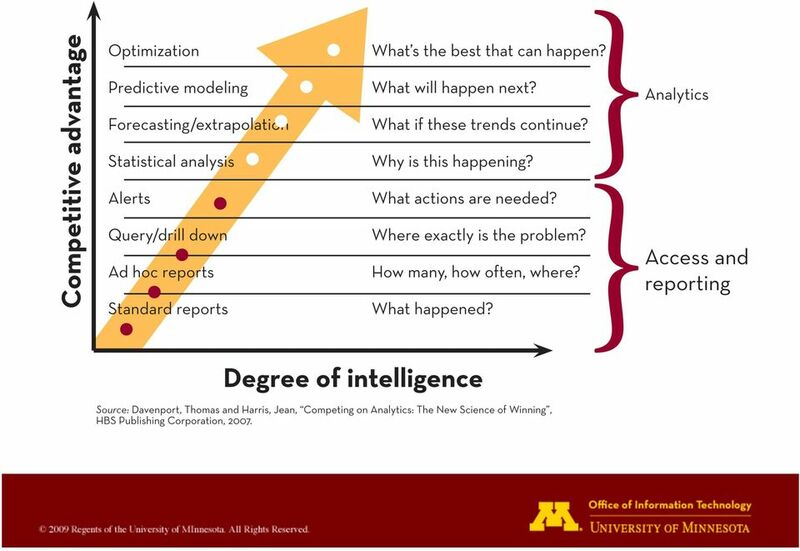 PUSH INTELLIGENCE. 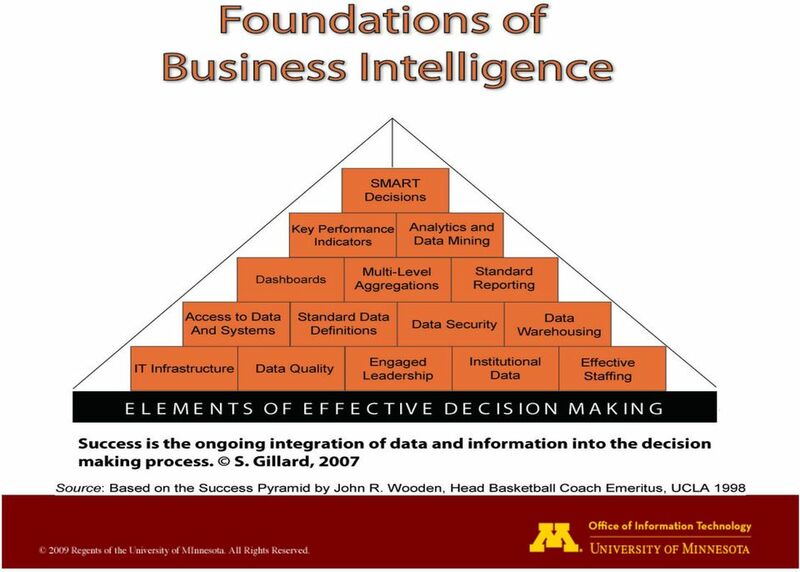 Bridging the Last Mile to Business Intelligence & Big Data. 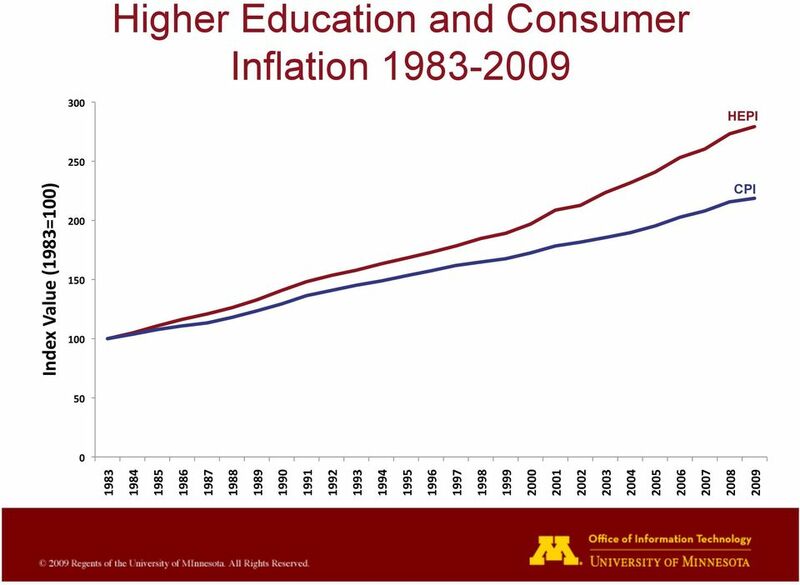 2013 Copyright Metric Insights, Inc.